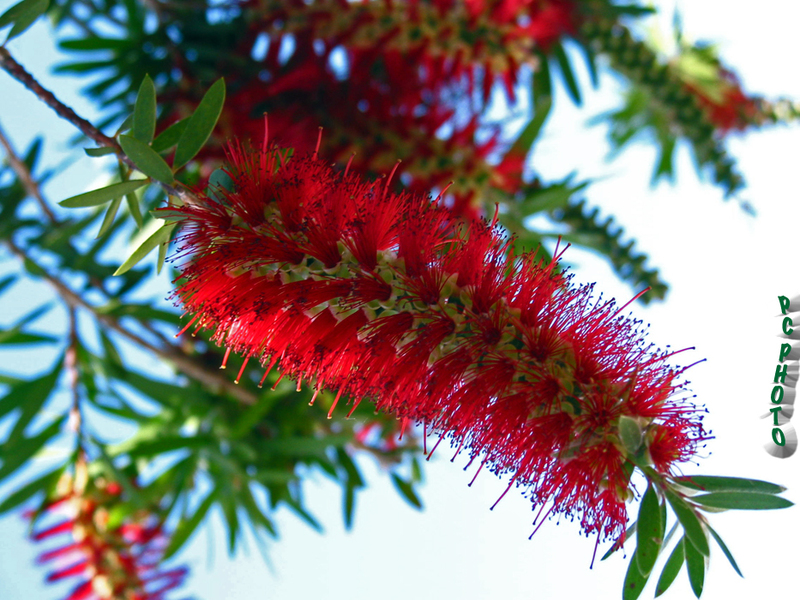 This is a photo of a Bottle Brush tree in full bloom. The FUZZY red blooms resemble a bottle brush. This is an evergreen tree that blooms several times a year beginning at late winter through early summer. The fullest flush of the downward growing flower are during late winter to early spring.